Since it’s inception in 1995, Dotster, Inc. has become one of the largest domain registrars with over three million domain holdings under their management. Dotster is an ICANN accredited domain registrar that provides the best web hosting and domain services to hundreds of thousands of customers worldwide. As Dotster has grown so has it’s products and services to include many aspects of domain services, web hosting, web design, website security, and online advertising of those websites. Dotster provides their customers with a sales team available during regular business hours, as well as a knowledgebase, video tutorials, email support, and 24/7 customer service via EmailBrain which provides support via email, live chat, or toll-free telephone service. This review will focus on the secure sockets layer, SSL, products offered by Dotster.com. 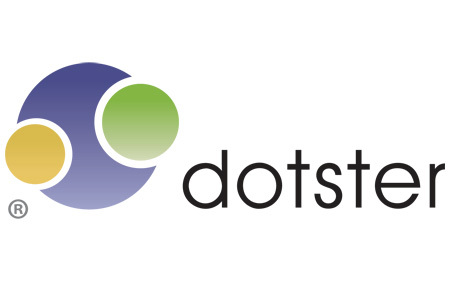 CLICK HERE TO VISIT DOTSTER AND VIEW ALL OF THEIR PRODUCTS AND SERVICES. Dotster offers SSL certificates from two of the top SSL certificate providers in the industry, GeoTrust and VeriSign. All of the GeoTrust SSL certificates include a GeoTrust True Site seal along with a date and time stamp. Dotster offers a free 30 day free trial period for the GeoTrust Quick SSL Premium SSL certificate, at which time you may decide to fully register and purchase the certificate, or not. Quick SSL Premium – Is designed for those who have a basic eCommerce website and are only concerned about encrypting basic information that is being transmitted, and does not require high levels of authentication. This SSL certificate costs $89.00/yr and provides up to 256 bit encryption, does not require paperwork on business, and can be ready in minutes. This SSL certificate is available for the Try Before You Buy program, which allows you to try the product free for a 30 day trial period. True BusinessID – Is perfect for a company wishing to provide their customers with full authentication of their organization and full encryption at the most affordable rates. If your business transmits sensitive personal or financial information this SSL certificate may be better suited for you. This SSL certificate costs $199.00/yr and provides up to 256 bit encryption, requires some paperwork to verify your business, and can be ready for use within a few days. True BusinessID w/EV – Provides all of the same features as the True BusinessID SSL certificate with addition extended validation. With extended validation customers, using Internet Explorer 7 or FireFox 3 or above, visiting your website will see your site has been highly authenticated by the green address bar. It will also provide extra protection for the identity of your company, protecting against phishers and identity theft. This added feature is known to increase customer confidence and reduce transaction abandonment. This SSL certificate costs $799.00/yr, may require more extensive paperwork for verification of your business, readiness depends on verification needed and time it takes to verify. True BusinessID Wildcard – The wildcard portion of this SSL certificate allows users to protect multiple subdomains on one server with a single SSL certificate. This certificate provides full authentication of organization, encryption, current validity with time and date stamp, as well as name of organization who owns the website. This SSL certificate is $839.00/yr, requires paperwork on business, and can be ready within a few days (depending on paperwork). All of the VeriSign SSL cerficates offered by Dotster come with a minimum 40 bit encryption up to a 256 bit encryption and the VeriSign Secured Seal. SecureSite – This SSL certificate is designed for a business who is looking to increase traffic to their site and protect their customers information but is not overly concerned with protecting the branding of their organization. SecureSite is a good choice for a business who wants the trust of their customers but does not require the highest level of encryption on every transaction. This SSL certificate provides a minimum 40 bit and up to 256 bit encryption and costs $559.00/yr. This SSL certificate is also available with extended validation (EV) which requires a higher level of paperwork about your business but offers customers a higher level of your business authentication and security, easily distinguished by a green address bar. The SecureSite w/EV costs $1399.00/yr. SecureSite Pro – This SSL certificate is ideal for businesses who transmit medium to high value transactions, and where security of their customers personal, financial, and eCommerce data is paramount. If you have an International business or do business with a diverse customer base including home computers, public access computers, and business computers you may wish to consider SecureSitePro. This SSL certificate connects with browsers and operating systems that require Server Gated Cryptography (SGC) encryption on the server, provides full organization authentication, and enables 128- or 256-bit encryption for over 99.9% of Internet users. With this SSL certificate you can provide the highest level of trust and security to every customer visiting your site. SecureSite Pro is also available with extended validation (EV), providing a higher level of business authentication with the green address bar, cost with EV is $2,099.00/yr. Dotster provides a nice easy comparison chart, which makes it easy to compare either the VeriSign or the GeoTrust SSL certificates. On their site is also detailed step by step instructions on how to create a CSR and Private Key, which is required anytime you are adding an SSL certificate to your website. Prices and information subject to change, CLICK HERE to visit Dotster and get the most up to date information.